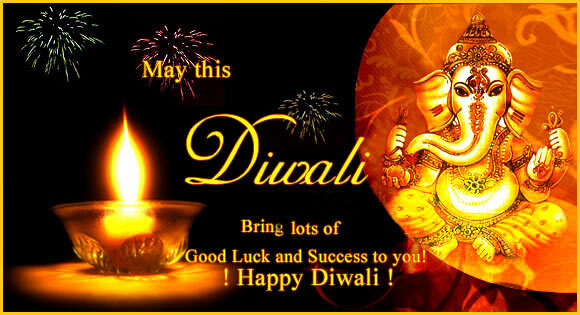 Diwali, the festival of lights, is celebrated across India during the month of mid-October or mid-November. Diwali is celebrated by Hindus, Jains and Sikhs and is marked as the victory of light over darkness. Knowing the legend behind the festival will make the celebrations worth. It is also a time of get together that will bring positive vibes all around. Apart from the spiritual side, there are many other reasons why Diwali is celebrated. After killing Ravana in the epic battle of Ramayana, Lord Ram, along with his wife and brother, headed towards his home town, Ayodhya. The day of his return was on "Krishna Paksha" and it was new moon (Amavasya). So, to welcome the return of their prince from a 14 year old exile, the natives of Ayodhya lit candles and earthen lamps all over the city. The eastern states of India celebrate Diwali as Kali Puja. 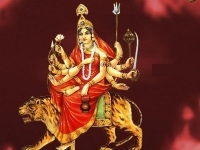 In the ancient times, when the evil started to cause major destruction in lives of people, they prayed to summon Maa Kali. In her anger and rage, Maa Kali destroyed the evil from its very roots but this didn’t calm her. So, she then started cause harm to earth and earthlings. To stop Maa Kali from causing this havoc, Lord Shiva laid himself in her path. To see him lying down right under his feet cooled down the temper of Maa Kali. Some parts of the southern and western regions derive their belief from the Krishna-Naraksura fight. Naraksura was demon who had some amazing supernatural powers. With the help of these powers, he started terrorizing people. To stop him from continuing the evil, Lord Krishna comes to the front, defeats and kills Naraksura. As a sign for the victory, he put of the demon’s blood on his face. When he returned to his home, he was given a massaged with scented oil and then given a bath so that the blood can be washed away. The Goddess of wealth, Lakshmi incarnated on the new moon day (amaavasyaa) of the Kartik month during the churning of the ocean (samudra-manthan), hence the association of Diwali with Lakshmi. According to the great epic ‘Mahabharata’, it was ‘Kartik Amavashya’ when the Pandavas appeared from their 12 years of banishment as a result of their defeat in the hands of the Kauravas at the game of dice (gambling). The subjects who loved the Pandavas celebrated the day by lighting the earthen lamps. 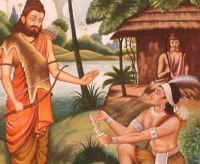 It was the new moon day of Kartik (Diwali day) when Maharshi Dayananda, one of the greatest reformers of Hinduism and the founder of Arya Samaj attained his nirvana. Mahavir Tirthankar, considered to be the founder of modern Jainism also attained his nirvana on Diwali day. The third Sikh Guru Amar Das institutionalized Diwali as a Red-Letter Day when all Sikhs would gather to receive the Gurus blessings. In 1577, the foundation stone of the Golden Temple at Amritsar was laid on Diwali. In 1619, the sixth Sikh Guru Hargobind, who was held by the Mughal Emperor Jahangir, was released from the Gwalior fort along with 52 kings.